When the subject of Southern fiction comes up, so many people move straight to talking about To Kill A Mockingbird or Gone with the Wind. Both are great novels and great examples of captivating Southern storytelling, but they aren’t the whole she-bang. Those two novels may sell in the millions, but Southern writers have produced a few other books that people ought to read with equal vigor. There’s William Faulkner, of course, and some people do get brave enough to read his works – it took me a while to build up the courage – and some of those few actually get through a couple of the novels. A master’s degree in literature helps. And you know, beyond those three biggies – Harper Lee, Margaret Mitchell and William Faulkner – readers of Southern fiction can dabble in a range of other voices from John Kennedy Toole to Flannery O’Connor or William Gay . . . This month, and then again later in the summer, I am going to write about two novels that get way too neglected way too often in the discussion of great Southern fiction: Albert Murray’s Train Whistle Guitar this time, and in a few months Walker Percy’s The Moviegoer. Albert Murray was born in 1916 in Nokomis, Alabama, which is kind of near Atmore in Escambia County, and he was given up by his mother and raised in Magazine Point, near Mobile. Murray was educated at Tuskegee and fought in World War II before coming back to the States and becoming one of the mid-century black writers heavily influenced by jazz and blues. Murray is also famous as a critic, having written extensively about aesthetic concerns involving the European-based Western canon and the emergence of new black voices, especially as those subjects relate to blues and jazz. (If you’re interested in his criticism, I suggest the out-of-print collection From the Briar Patch File, which can be obtained pretty cheaply, as a good primer.) In addition to Murray’s own work in books like The Hero and the Blues, the 2010 book Albert Murray and the Aesthetic Imagination of a Nation discusses his importance through critical works discussing his work. 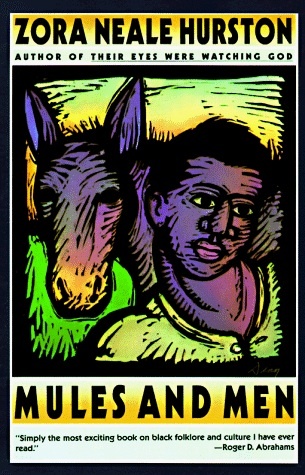 Alongside George Wylie Henderson’s Ollie Miss, Train Whistle Guitar may be one of the best (albeit neglected) Southern novels that focuses on the lives of pre-Civil Rights African Americans. In Murray’s novel, we get the coming-of-age story of a boy named Scooter whose adventures and hijinx carry us through the early twentieth-century rural Southern experience. The first thing we learn about is Scooter’s near-obsession with the itinerant bluesman Luzana Cholly – in case you’re not Southern, that’s Louisiana Charlie – and everything about him: his mysterious way of life, his swagger, his music, his undeniable charm. ­Scooter and his best good friend Little Buddy are all over the place, sometimes stealing away from school to attempt to hop a freight train, sometimes meandering through the swamps where they spy on people who are dragging a dead body around. As the novel’s disjointed narrative progresses in its jazz-inspired mosaic style, Scooter reels us in with a non-stop barrage of anecdote, character development and imagery. Characters go flying past and one event leads directly into the next, with Scooter weaving in and out of the scene. We see Scooter lose his virginity to a girl whose taunts backfire on her, we see the local juke joint at its high point when the novel’s other great bluesman Stagolee Dupas is playing his heart out for the crowd, and we see a boardinghouse stabbing when a good woman gets sick and tired of her man’s low down ways. What matters in Albert Murray’s Gasoline Point is whether or not you are living in a way that allows you to hold your head high. Everything is fascinating here, as we receive the town’s past and present from the mouth of a babe. Scooter’s enthusiasm is infectious, and his careening plot carries the reader on his own private cultural rollercoaster. Even beyond the charm of Scooter’s descriptive forays, one other thing makes Train Whistle Guitar an important Southern novel, along with Ollie Miss: the near total absence of white characters, which frankly is refreshing. Without white characters, that paradigmatic mono y mono antagonism isn’t omnipresent without the old “white devil” not always lurking around, which leaves the storyteller freer to develop these brilliant and interesting characters not in the light of their reactions to white supremacy but in the light of themselves and their interactions with each other. The only real interaction with white people that we see in Train Whistle Guitar is one scene involving a cruelly overzealous white law man who raids the black juke joint out of sheer meanness . . . but when he kicks the keys off the piano, he is killed and his body is deposited somewhere no one will ever find him. He has committed the ultimate sin: he tried to take music away from the people, and he was dealt with summarily. Unfortunately, most (if not all) pre-Civil Rights Southern novels by white writers deal with African-American people in a patronizing and artificial way. Even the most well-intentioned of those novels usually have great difficulty breaking through the social-racial barrier to regard black characters as fully human, possibly since they weren’t allowed to be fully human when any white people were around. By contrast, the depictions of African Americans in Albert Murray’s Train Whistle Guitar are as natural as the sun coming up in the morning. Yet, to regard his novel highly for that reason alone, to view it only as a cultural or sociological artifact, would diminish its artistic brilliance and its remarkably insightful story that exposes so much human nature. 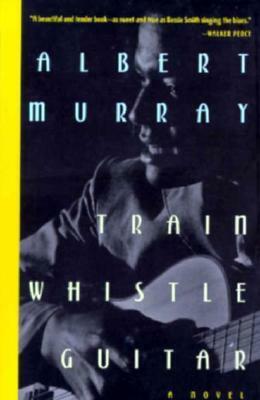 While, in one way Train Whistle Guitar occupies that same interesting space as Zora Neale Hurston’s Of Mules and Men, Murray’s jazz-influenced writing carries us in a different direction than Hurston, with his child narrator and his free-flowing and seemingly improvised style that is free of so much of that thick dialect we have to navigate in Hurston. Train Whistle Guitar is only about 180 pages in a trade paperback format. Being bluntly honest, I read it in about two days, which was made possible by both its brief length and its tightly woven long chapters. I was sorry it was done when it was over. I found myself counting the pages until the end, not because I wanted to be done, but because I wanted to know how much longer I would get to take part in the story. I won’t spoil the ending here since I hope that any of you reading this will be prompted to go get a copy and dive in. Vintage has a paperback edition that’s only thirteen bucks . . .